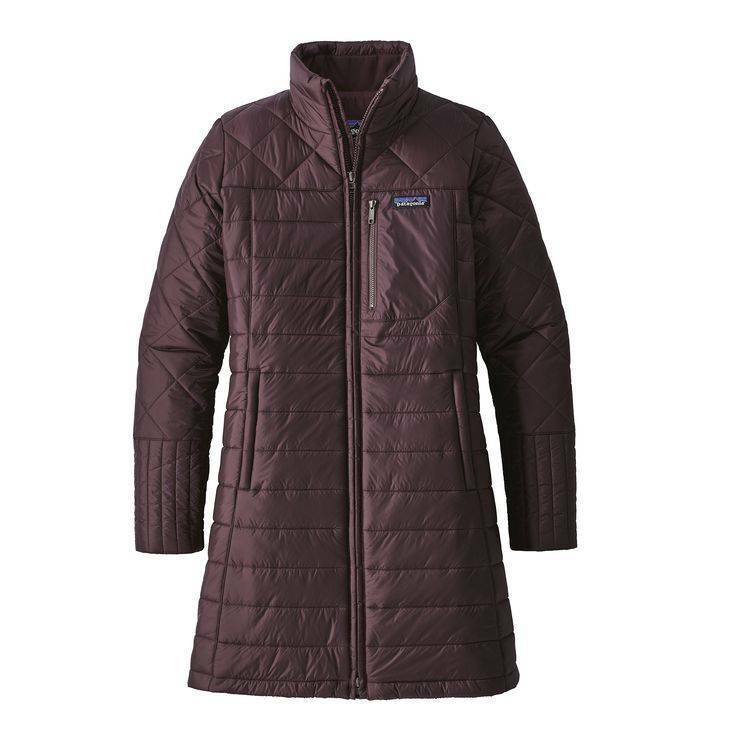 This sporty quilted parka has a shell made of 100% recycled nylon and is insulated with warm 150-g Thermogreen® 100% polyester (92% recycled) with a C6-DWR (durable water repellent) finish. This parka resists wintry weather. The Radalie Parka has a shell made from 100% recycled nylon, and has warm, 150-g Thermogreen® 100% polyester (92% recycled) insulation and a DWR (durable water repellent) finish. Brushed tricot liner at inner collar, cuff and handwarmer pockets for comfort. Center-front zip and stand-up collar keep out the chill. Quilt lines, princess seams and hidden zippered on-seam handwarmer pockets lend a contemporary feminine silhouette, while the left-chest Retro-X® style patch pocket gives a nod to our heritage. Inner right-chest stash pocket stashes valuables. Midthigh length. Shell: 1.1-oz 100% recycled nylon plain weave with a C6-DWR (durable water repellent) finish.